Avesta is participating in Ultrafast Phenomena 2018 conference and tabletop exhibition in Hamburg, Germany (15-20 July). We would be glad to discuss any of the ongoing and future projects with the ultrafast community at our tabletop. Hope to see you soon! Avesta’s facilities will be closed for the New Year break from 30 Dec 2017 till 08 Jan 2018. We will resume all operations on 09 Jan 2018. However, we hope to provide periodic e-mail correspondence during the holidays. 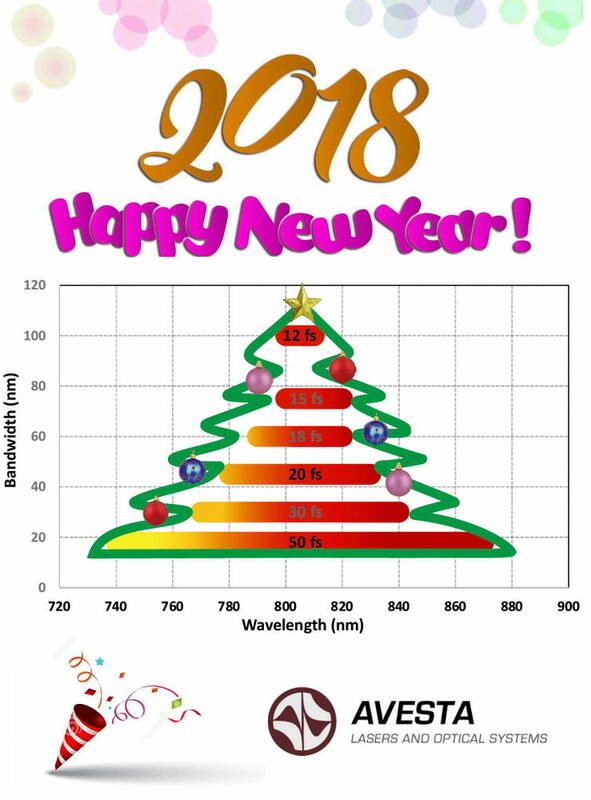 We wish you a fruitful and prosperous Year 2018! Avesta is participating in the “LASER World of PHOTONICS 2017” (Munich, Germany, 26-29 June 2017) trade show. Feel free to drop by our booth B2.151 to see the TeMa Yb laser system along with the AA-20 autocorrelator and GECON supercontinuum generator. The trade show participation is supported by the Russian Export Center and organized by Expocenter and Russian Laser Association.